So I have received a few compliments in the last few days or so from other readers/followers, on my Instagram, saying that they're happy that I incorporate so many affordable pieces into my daily outfits/wardrobe. A few mentioned how they're still in school or working full time, and are unable to continually buy a lot of these high priced items or pieces that we see floating around the ol' gram. I can honestly say that I relate to them--I've been there. When I first started my blog I couldn't keep buying all the things that were out of my price range. I still wanted to look cute, but not break the bank! 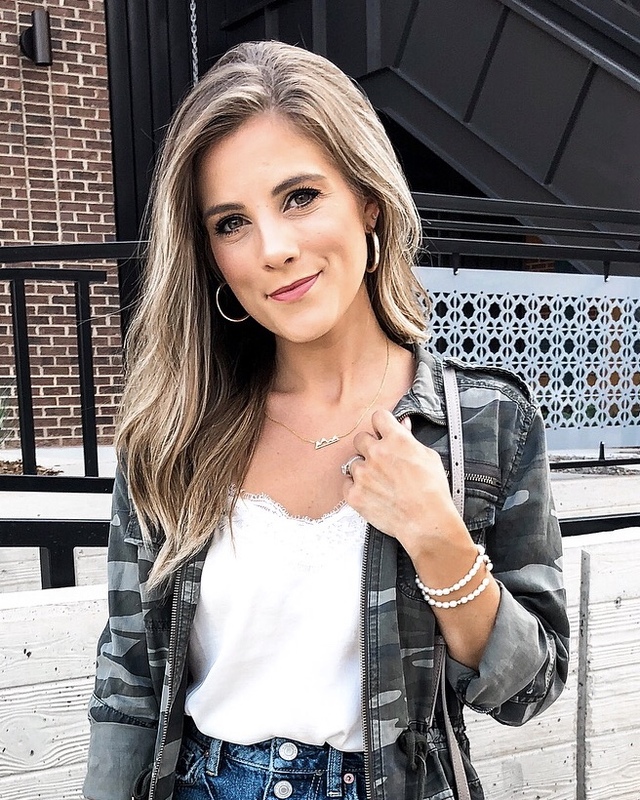 And even though as I've grown and blossomed in this blogging community, I still want to incorporate styles that are still easily attainable and affordable...and of course, cute & stylish! So today, I have partnered up with Walmart to introduce 3 comfortable & affordable looks for spring below! Some days I get the urge to dress super casual. I'm a mom on the go, and sometimes I'd rather dress comfortable and casual than get all dressed up. To start, I am obsessed with these jeans ($17)! I talked about them previously on my IG account and I will continue to rave about them now! They have the right amount of stretch, but still retains its structure and fit. I also love the fact that it comes in petite sizes too! Next I paired it with a simple white pocket tee ($8)and threw on a pop of color with this Time & Tru cardigan ($9). And to continue the comfort streak, I traded my usual heels for these perforated sneakers ($15)! I'm all about being stylish, but I also LOVE being comfortable! If you find yourself wearing more leggings than jeans, then these white leggings ($18) will be your saving grace! They are super soft and come in a variety of colors that are perfect for every season. I paired them with this slouchy striped tee ($8) for extra comfort and my new favorite pair of Sam Edelman sandals ($55)! They are the absolute cutest, and I've been wearing them non stop! If you're looking for something that is more bright & flowy, then I highly recommend this easy breezy yellow blouse ($13)! It features flared 3/4 sleeves, a smocked waist, and a tied neck detail. Pair it with white shorts (similar; $17) or a dark denim skirt for a fun spring to summer look! You can also dress it up with a cute pair of white jeans, espadrilles, and gold statement jewelry.